You know spring is coming when green things start popping up. You also can tell it is spring when pictures of those tiny green shoots and buds are exciting. By July we will think these pictures are silly and unimpressive. Well…it’s green, yes. But this is maybe less exciting than other things growing might be. This particular bed has lots and lots of grassy weeds growing. We will make quick work of them when we start working the garden in a couple weeks, but they are green right now! 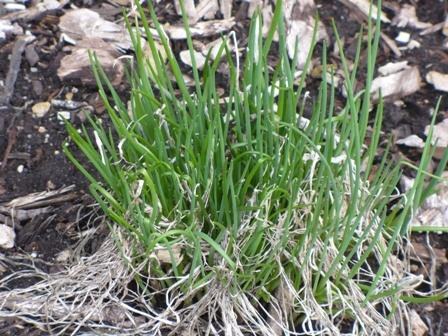 The chives are growing well with no attention whatsoever. They will probably be ready to start cutting in a couple weeks. 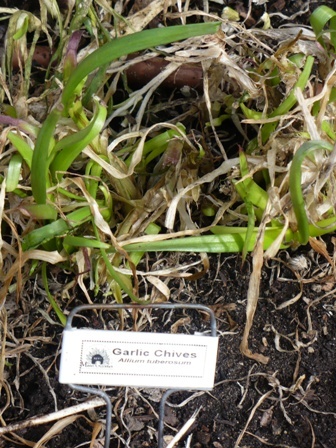 Likewise the Garlic Chives. They hadn’t been cut back as well last spring, so the new growth is kind of yellow and twisted. I cleaned them out somewhat, so they will be looking good soon. 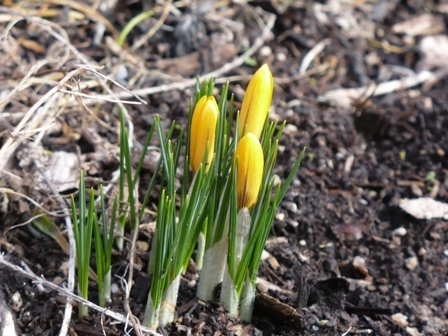 Of course, this golden yellow crocus just wants to show off. 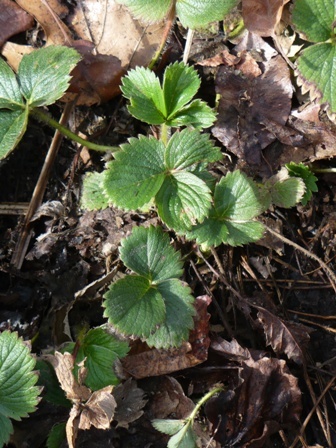 The strawberries are showing signs of life. We need to get all the dead leaves and “mulch leaves” that blew in last fall raked out. 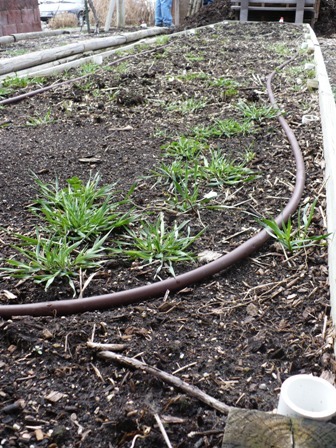 Posted on March 12, 2010, in PhotoEssays and tagged flowers, herbs, Spring, spring garden, strawberries. Bookmark the permalink. Leave a comment.